East Kimberley is a remote region of Western Australia more than 2,000 kilometers from Perth, the state capitol. Open and underdeveloped, there might not seem to be much to recommend this arid region…but under the surface, East Kimberley is home to one of the rarest and most unique treasures in the world: pink diamonds. 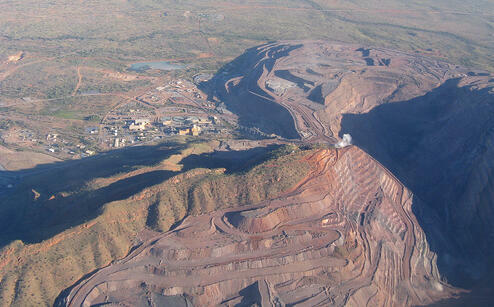 The Argyle diamond mine, owned and operated by Rio Tinto, is the fourth largest diamond mine in the world. It produces only one tenth of a percent of the world’s diamond supply…but over ninety percent (90%) of the world’s pink diamonds. What exactly gives these rare stones their beautiful color is still unclear, but their allure is more than obvious, and the history of the mine that produces them is every bit as rare and fascinating. The Argyle mine itself was founded on a huge gamble. Through most of the 20th century, the only known host for diamonds was a mineral called kimberlite, which forms thick vertical columns, or pipes, in the surrounding sediment. However, a geology student name Ewen Tyler never got over an observation one of his professors at the University of Western Australia made: that lamproite, found in similar pipes throughout western Australia, was extremely similar to kimberlite in a number of ways. Tyler returned to Kimberly in the 1970s, and began a search for diamonds that would ultimately rewrite every geology textbook in the world. At the time, our understanding of diamond formations came from the huge mines in South Africa. Tyler’s Kimberly mine played by different rules: different formation structure, different indicator minerals, and ultimately, a different host rock: lamproite, just as his professor had theorized. In 1983, the Argyle mine went into production as an open pit mine, based around 49 lamproite pipes. At that point, the mine faced a new challenge: most of the diamonds it produced were small…and not only small, they were colored. At a time when the peak of fashion and quality was the “colorless” diamond, Argyle and Rio Tinto had a marketing challenge on their hands. Although it took a few years for the appeal of gold, champagne, and cognac-colored diamonds to take hold, there was one stone produced by the Argyle mine whose appeal was instant and obvious: the pink diamond. The Argyle mine is the world’s only reliable source of these colored stones, which range from rose-petal pink to deep blue violet. Even when perfectly colorless stones were in vogue, no one could resist the allure of the incredibly rare pink diamonds. Just how rare are they? Only one diamond in ten thousand has a color of any kind. 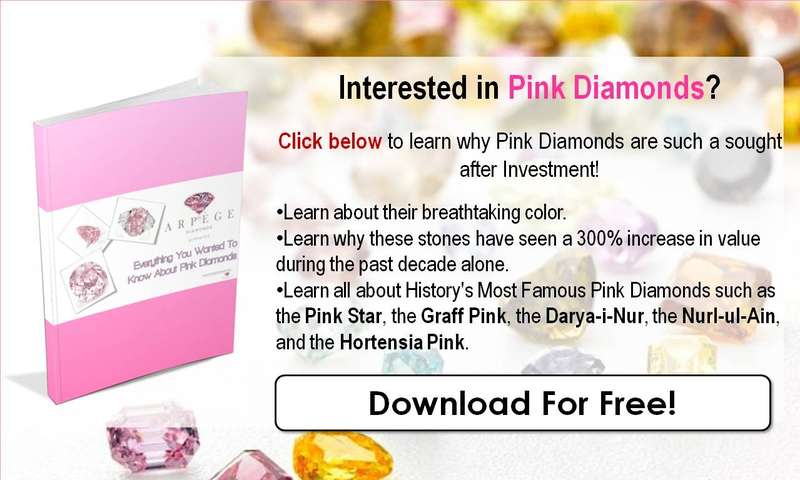 Less than one percent of those colored diamonds will be pink, even in the Argyle mine. As chief engineer Rebecca Pickering put it, “For every 4 Olympic swimming pools of rock we crack, we get half a bucket full of diamonds. In that bucket, less than a teaspoon are pink.” They are literally one in a million. The Argyle Mine has been going strong for nearly 30 years as one of the safest and most efficient mines of its kind…but no good thing lasts forever. From 1985, when it first opened, until 2013, Argyle was an open-pit mine, working around a lamproite pipe called the AK1. The AK1 continues past the depth at which open pit mining is possible, so the mine temporarily shut down in 2013 for some re-fitting. It’s now been converted into an underground operation called a block-cave mine: one of the safest and most advanced in the world. The block-cave reaches under the pipe to mine it from below, and it has extended the life of the mine…until 2020. In 2013, Argyle confirmed that the mine is reaching the end of its lifespan, and in approximately one year, production will cease at the world’s only reliable source of pink diamonds. Wrapping Up: What Does this Mean for Pink Diamonds? What does this mean for pink diamonds? These already-precious stones are seeing the biggest surge in interest and popularity since Ben Affleck gave one to Jennifer Lopez in 2002. Their beauty and rarity already made them valuable commodities, and now that the supply is running out, interest is pushing their value and price through the roof. To put this into perspective, the record for a pink diamond price paid at auction was shattered in April of 2017. 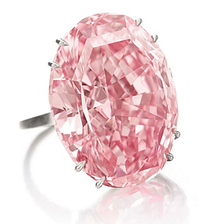 The stone in question was the Pink Star Diamond that fetched an astounding $72 million, during Sotheby's Hong Kong Spring Sale. That leaping price has attracted the attention of investors, already turning to treasure assets as a stable investment in a shaky economy, as well as the celebrities and diamond enthusiasts who drove the market for colored stones. With the end of the Argyle era in sight, the future of the pink diamond is sure to be an interesting one. Should I Invest In Loose Or Set Colored Diamonds?